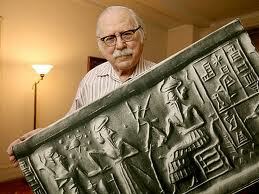 One of the accusations levelled at the late Zecharia Sitchin was that he was not able to read and translate the cuneiform scripts of the Sumerians, Akkadians, Babylonians and other ancient Mesopotamian cultures. There aren't that many people who can read cuneiform, and Sitchin was not a recognised linguistic scholar of ancient languages. As a result, it's easy for scholars to question his ability to read, transliterate and interpret the ancient Mesopotamian writings. There's a general disillusionment with experts these days. Sometimes, experts get it horribly wrong: Economists failing to see a looming crash, or bursting of an economic bubble; environmental scientists cooking the books to solidify their stance on climate change; politicians expounding doom and gloom if a particular decision is made, only to see markets lift when it comes to pass. This may be a similar situation. In order to attain the kinds of authorised credentials that Finkel and Walker require, students of ancient Mesopotamian languages must jump through a number of academic hoops, and then be accepted into the club of recognised scholars of cuneiform script. Like democracy, this may simply be the 'least bad' way of doing things, but it does mean that budding scholars must toe the party line to be accepted into the halls of academe. There is a system of self-perpetuating conformity at work here. Certainly, there is no room in the Sumerology world-view for outsiders who independently master the script and languages, and then propose that the ancient accounts have been incorrectly interpreted this whole time. Sitchin's translations, and his interpretations, are fiercely contested - to the point where accusations of fraud has been levelled at him. It is often quoted on the Internet that Sitchin knowingly distorted translations of Sumerian phrases and words to fit his own theory. 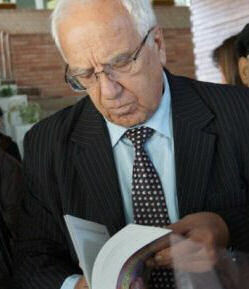 The translations he presents in his books (3) are sometimes different from authorised texts. These discrepancies provide ammunition for sceptics and scholars alike to dismiss his work, and allege that he knowingly misled his readership. (This situation is not helped by the semi-fictionalised fill-ins he added in to his popular text 'The Lost Book of Enki' (4).) Such accusations have become common currency (5), and even maverick writers looking into ancient mysteries often distance themselves from Sitchin's work. But are they wrong to be so dismissive? Furthermore, are their accusations of fraud actually libellous? According to members of his own family, then, Zecharia Sitchin really did read and translate the ancient Mesopotamian languages directly from the original cuneiform. Is this so incredible? People teach themselves languages all the time, using any number of resources to master them. Sitchin's problem, then, is that he didn't learn these ancient languages the 'proper' way. He didn't write academic papers, setting his ideas forth in a peer-reviewable format where establishment Sumerologists could unpick his work through standard academic criticism. Instead, he went straight to the masses, without bothering to check with them whether he was right. You can see why they might get a bit miffed. 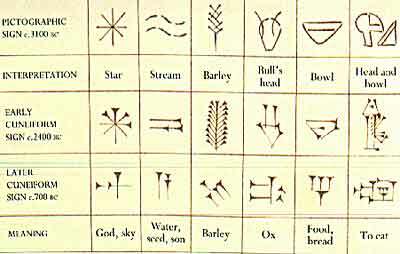 So, let's say that Sitchin, being a pretty bright bloke (he obtained a degree in economic history from the University of London, and was a journalist and editor in Israel for many years before emigrating to the U.S.) taught himself cuneiform. His translations are personalised, sure, but does that necessarily make them wrong? Translating from any language is a subjective business, after all, and is reliant to some degree upon one's world view. The same argument can be made about academic scholars, whose own paradigms can be deeply rooted and conservative. These experts may not always get it right, because their underlying assumptions about what constitutes Truth may be erroneous. Herd instinct can drive these disciplines, just as it does economics, politics, science. And sometimes, someone needs to come along to stir things up a bit. This simple quote contains both his translation, and also a variation on the 'princes' translation more widely advocated. Sitchin is making it quite clear in his book that he is deviating from the standard translation. His critics argue that he knowingly misled people who know no better. That accusation has stuck. In fact, Sitchin quite carefully and openly offered a choice, setting out why he was proposing something different. He may have been wrong, he may have been right - but he was no fraud. 3) Zecharia Sitchin "The Twelfth Planet" Avon 1976, and the subsequent Earth Chronicles series, by the same publisher as well as Bear & Co. I recently reviewed a book about Carl Sagan's interest in ancient aliens, written by Donald Zygutis (1). Early on in his illustrious career, Sagan expressed scepticism about seeking E.T. 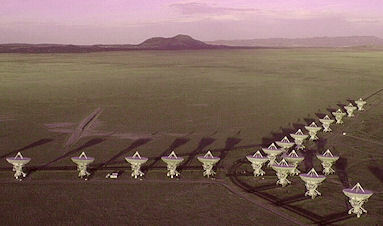 life using radio telescopes, instead advocating a search through historical accounts and myths to determine whether our planet had been visited (2). He argued that in a standard galaxy there are so many stars/planets etc, that all you'd need to do is point the radio receiver at any given galactic source beyond the Milky Way, and alien radio signals should come screaming out at you. They generally don't, of course, which led Sagan to the early logical conclusion that SETI's search with radio telescopes was bound to fail. However, this approach became the only game in town, with serious funding at its disposal, and Sagan fell into line behind it - supporting this doomed search for E.T. radio signals ostensibly from stars within out galactic neighbourhood. Decades on, and SETI has come up with little of any merit. The odd interesting blip, sure, but nothing demonstrably repetitive, or intelligent. 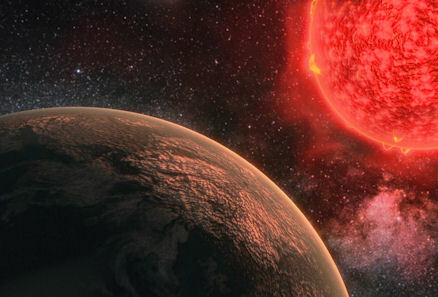 Other searches have also come up empty-handed, including an extensive search for highly advanced galactic civilisations using infra-red (3), based upon the theories of the physicist Freeman Dyson. Looking for an infra-red signature from other galaxies seems like a bit of a stretch to me. Sagan's initial premise about radio waves emanating from other distant galaxies is more plausible. By staring at the tiny amount of our sky that any given distant galaxy occupies, radio telescopes can cover a lot of possible stars in a very small space. If any of them contain radio-emitting alien species, shouting for attention, then we should pick them up one would have thought. Five more Fast Radio Bursts have been detected by the Green Bank Telescope in 2016, and one with the Arecibo Observatory, bringing the total number of these short, seemingly random emissions from FRB 121102 to seventeen in four years (7). They cover a broad range of radio frequencies. The co-ordinates of FRB 121102 are RA 05h31m55s Dec+33d08m (8) which is in the constellation Auriga near to the 'Flaming Star Nebula' IC 405 (9). It's curious - all those decades searching for strong, repetitive radio signals, and when something turns up which fits the bill, Science - and SETI - get cold feet. Of course, if this is intelligently-generated radio noise from an advanced civilisation in a distant galaxy, then it was emitted 3 billion years ago, give or take. Presumably, that civilisation is long since gone. But wouldn't it be amazing if something intelligible could eventually be gleaned from this radio twitter, even if the source is now, to paraphrase John Cleese, an ex-extraterrestrial? Let's go back to that nebula in the constellation Auriga. It is interesting to note that the proper motion of the central star of this reflection nebula can be traced back to Orion's Belt (12). It did cross my mind that this nebula might have a Dark Star connection, given my current interest in a nebula shroud wrapped around this proposed outer solar system object (13). 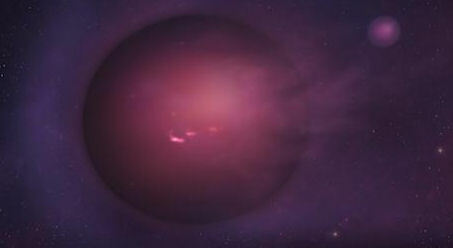 A sub-brown dwarf located at a very distant point in the outer solar system, wrapped up in an accreting nebula in interstellar space (14), could indeed have a magenta hue. Magenta is a possible colour along the sub-brown dwarf spectrum. As tempting a proposition as this might be, there are problems that must be overcome here. For this to be the case, some crazy misidentification would have had to have taken place. The nebula is thought to reside some 1500 light years away. That's on a completely different scale to a nebula-shrouding planet at inner Oort Cloud distances, meaning that calculations of the nebula's distance would be stunningly inaccurate. 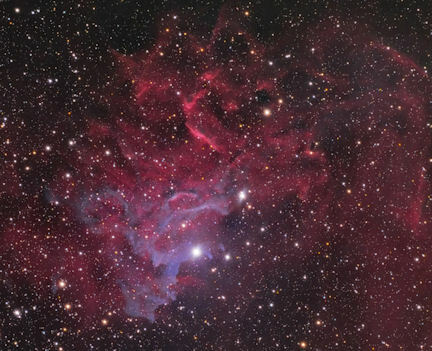 The Flaming Star Nebula need not necessarily be what I'm looking for. Let's say, for the sake of argument, that a smaller, darker nebula is indeed cloaking an inner object in that direction, located relatively close to home, and that its detection is complicated by the coincidental presence of IC 405. 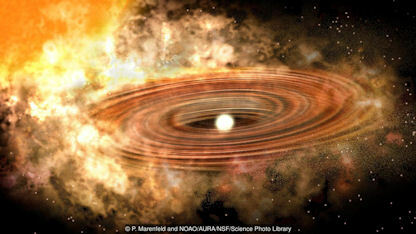 Let us consider whether a planetary body orbiting this Dark Star object be the source of these FRBs. Because many of these fast radio bursts occur outside of the galactic plane, they are thought to have an extragalactic source. So, because they're uncommonly bright, these extragalactic distances imply an incredibly energetic source. Now, if the radio source was instead relatively local, the requirement for a massive amount of energy to create these bursts disappears. The bursts are also thought to emerge from, basically, a pinpoint region of the sky, but they are often not easily reproducible. FRB 121102 is an exception to this as further bursts have been detected over the course of several years (8). "The burst [in this case that of FRB 110523] has a much higher rotation measure than expected for this line of sight through the Milky Way and the intergalactic medium, indicating magnetization in the vicinity of the source itself or within a host galaxy. The pulse was scattered by two distinct plasma screens during propagation, which requires either a dense nebula associated with the source or a location within the central region of its host galaxy." (15). It's interesting to note that the presence of a dense nebula might create conditions (i.e. an abundant presence of ionised plasma) that could facilitate the dispersion measure effect seen in Fast Radio Pulses. Such a scenario offers a less exciting proposition than a cosmologically mysterious, highly energetic pulse emerging from a distant dwarf galaxy. Perhaps that's why astrophysicists seem to favour the latter over the former. Here's a thought then. If there is a Dark Star in our own solar system, wrapped up in a highly localised, dense nebula of ionised plasma, which shrouds its emission of visible and infra-red light, then that nebula might provide an alternative explanation for the physics described. It might also explain why it's tricky to repeat the science. After all, the bursts would be getting emitted from a planet orbiting the Dark Star. So, like the Galilean moons of Jupiter, the emitting world would be constantly changing its position in the sky, in an oscillating movement. It might even spend time behind the Dark Star itself, as it moves along its orbit, thus experiencing periods of radio silence from our viewpoint. Again, this is simply speculation on my part. Most (all?) astronomers would have little interest in considering worlds within nebulae, because that's simply not on their radar. But the idea of nebulae getting wrapped around free-floating worlds in interstellar space is central to my way of thinking right now. So, an association between these Dark Stars and enigmatic radio 'signals' from seemingly nowhere does not seem quite as strange as it would to mainstream scientists. The streams of gas strewn out from the shredded star are capable of clumping into gas giant-sized planets within just one year. This contrasts with the millions of years that gas giants generally take to form, according to current models of planet-formation. So how do they manage to form so quickly in such a high velocity environment? I wonder whether this could provide a template for the clumping of material within interstellar space - interstellar medium is also subject to a high-velocity environment within galactic streams and currents. This is an area of research that interests me greatly at the moment, as I attempt to explain how planets could form in interstellar domains beyond the heliopause, and perhaps continuing to accumulate materials around them for billions of years (7). Recent work has been carried out by the Hubble Space Telescope as it images the interstellar space that the two Voyager spacecraft are now traversing beyond the heliopause. The data indicates that the environment beyond contains zones of 'clumpier' material than expected (8). This finding, shoring up NASA previous descriptions of 'interstellar fluff' lurking beyond the heliopause, provides more evidence that accumulation of interstellar medium can occur in interstellar space; at least locally. The mechanism for this remains unclear. If true, then this is quite extraordinary. 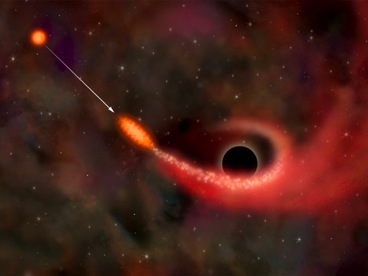 The monster back hole at the centre of the galaxy is routinely chewing up stars which get too close, and spitting out their innards across the galaxy in the form of bite-sized planetary chunks. 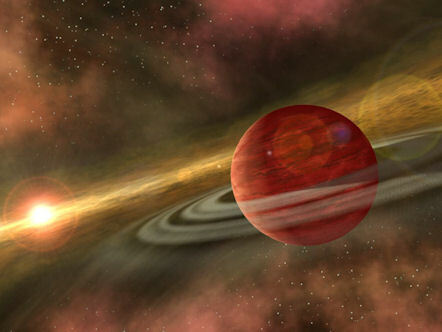 The other aspect of this is that the composition of these high-velocity second generation planets would vary depending upon what part of any given star they might have accrued from. This is an important point, because it lends itself to the possibility of quite exotic Dark Stars, whose gaseous and chemical signatures could be quite different from those forming 'naturally' out of stellar nurseries, or from rotating proto-planetary disks. The sub-stellar properties of such objects might vary accordingly. Monster dwarf sub-stars? It's a year since proposed the existence of Planet Nine (1). Despite the fact that its discovery remains elusive, there have been a great many academic papers written on the subject, and no shortage of serious researchers underpinning the theoretical concepts supporting its existence. Many have sought evidence in the solar system which indirectly points to the perturbing influence of this mysterious world; others have provided data which have helped to constrain the parameters of its orbit (by effectively demonstrating where it could NOT be). Throughout 2016, I have been highlighting these developments on the Dark Star Blog. Their randomised 'Monte Carlo' calculations provide a best fit with a planet of between 6 and 12 Earth masses, whose eccentric orbit is inclined to the ecliptic by about 30 degrees. They are unable to point to a specific area of the sky to search, but provide a broad-brush region which they favour as most probable. Dr Millholland has also helpfully provided a 3D manipulable 3D figure of the cluster of extended scattered disk objects allegedly affected by the purported Planet Nine, alongside their extrapolated orbit for it (4). The second (now-published) paper, written by Planet Nine advocates Konstantin Batygin and Dr Mike Brown examines in more detail their earlier suggestion that a highly inclined subset of trans-Neptunian objects (TNOs) exhibiting retrograde orbits (namely Drac, Niku, and 2016 NM56) may also owe their odd orbital arrangements to Planet Nine (5). The authors acknowledge the explanatory power of the generally accepted Nice model for the evolution of the solar system into its current format, but also highlight areas which remain unexplained - including these strange TNOs. 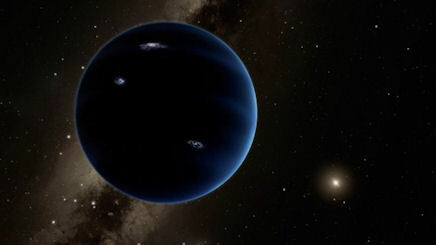 They tested the possibility that the additional presence of Planet Nine can explain the unusual inclinations of Drac, Niku, 2016 NM56, as well as other members of the currently known trans-Neptunian population which are not well accounted for by the Nice model (6). The paper indicates how many of the solar system mysteries could be readily explained by the presence of a substantial Planet X body. Such an explanation is not without its critics, as I previously described (5): Critics who will really only be satisfied when this elusive planet is actually found. Dr Mike Brown thinks that should be before the end of next winter (i.e. early 2018), given the number of groups now actively seeking this object (7). "...Their simulations showed that 60 percent of the times a rogue planet encountered our solar system, it came in and then left, sometimes taking another smaller planet with it. In 40 percent of cases, however, the rogue was captured and remained in orbit. The simulations also suggested that if such a rogue was captured, it could orbit the sun at the speculated distance and that it was unlikely that a planet any bigger than Neptune has ever entered our solar system—the orderliness of our system suggests it has not been disturbed since the period when the solar system was created." (9). One might argue that with these computer simulations you tend to get out what you put in. Nonetheless, these support the capture scenario, and potentially align the proposed Planet Nine ever closer to Zecharia Sitchin's mythological Nibiru/Marduk Planet X. Why? Because his books not only describe a Planet X body of about 10 Earth masses in an elliptical orbit inclined 30 degrees to the ecliptic (as per Planet Nine) but also pinpoint its origin as being just such a rogue planet captured by the Sun from interstellar space (10). There remain two stark differences: The first is that Planet Nine is thought to remain well beyond the heliopause for the entire duration of its eccentric orbit. This contrasts with Nibiru's asteroid belt-skimming perihelion passage (but these days, with a known second asteroid belt in the form of the distant Kuiper Belt beyond Neptune, one could imagine a slightly different reading of the Babylonian 'hammered bracelet' from Enuma Elish?). The second is that Planet Nine's projected orbital period is 10 - 20,000 years, contrasting with Sitchin's 3,600 years. Still, enough similarities to make any number of scientists feel acutely uncomfortable - if not a little irritated. 10) Zecharia Sitchin "The Twelfth Planet" Avon 1976, and the subsequent Earth Chronicles series, by the same publisher as well as Bear & Co.
Woe, woe, and a breach in Ulla." Where does the concept of this portent come from? 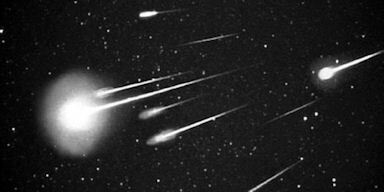 Comets were often associated with catastrophe in ancient times, but not red stars. Perhaps it denoted the planet Mars, with its long-held association with gods of war? That would be within context. However, the translation is specifically a star, rather than a planet or 'wandering star'. Perhaps they are denoting the prominent Taurean red star Aldebaran, which has been associated by some with the ancient Celtic festival of Beltaine (2). Whether this association with Aldebaran is correct or not (and I suspect it isn't), the connection with Beltaine itself is interesting because its meaning is 'the two fires of Bile'. The festival marks the end of winter, and a ritual of purification which takes place between two fires. If we have a red star as one of these 'fires', then might we assume that the Sun is the other? The origin of the Celtic people of Ireland is linked to waves of migration from both central Europe, and also from Northern Spain, during the Stone Age (3). Nowadays, we know that there was a far greater inter-connectivity between ancient peoples than many once assumed, and a Gnostic-like sharing of ideas across cultures. Even so, the origins of the Druids remains somewhat mysterious - our only real historical sources coming from the conquering Romans. But associations have often been made with the Phoenicians, whose wanderlust took them far and wide. 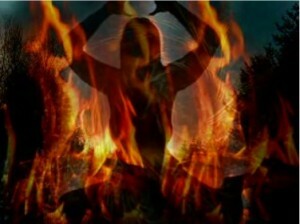 It is little wonder, then, that the Druid god Bel has been associated with the ancient near-Eastern fire god Baal (4). Indeed, the fires that were (are?) traditionally lit upon Irish hills on Midsummer's Eve were known as the Baal Fires, as ancient pagan Sun-worship ritual (5). Again, not too much of a stretch to consider how the festival of Beltaine, with its two fires, may in some way be denoting something of great significance from ancient mythology, stemming from the ancient lands of Mesopotamia. The images have clear celestial symbolism. The Moon and Sun gods are easy enough to make out. It's the third, central deity, Shamene Baal, whose celestial identity is less easy to determine. It seems to me to take on some of the Winged Disk symbolism. If so, then this is clearly an entirely separate celestial object to the Sun symbol stood next to Shamene Baal. 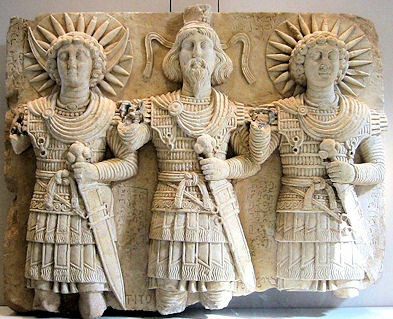 So, perhaps this Baal trinity is where the idea of the two fires, under the moonlight, comes from in the first place? Maybe this is where the pagan Beltaine festival stems from. In which case, there is a need to identify this mysterious second celestial object and, from my perspective, the most likely candidate is the Sun's binary companion; a sub-brown dwarf 'Dark Star'. 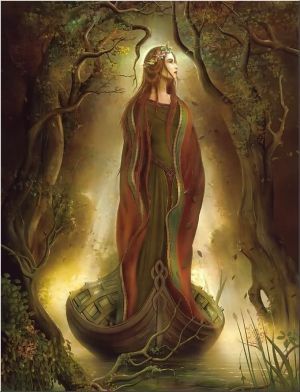 Coming back to the Irish folktales about Deirdre, there is more from the poem about her that interests me in this regard; particularly the conflict with the usurper Red King of Alba (7). Given the self-evident adoption of Baal-worship in ancient Ireland, it is not unreasonable to conclude that these folkloric stories could contain elements of more ancient myths: In particular, those myths which extended across Europe with the migration of the Celts, but have their origins in the Levant region, and ancient Mesopotamia before that. As such, I am tempted to draw a parallel here with the Babylonian creation myth Enuma Elish, and the Celestial Battle between the watery monster Tiamat (the Earth) and the powerful usurper god Marduk (Planet X/Nibiru), as described by Zecharia Sitchin (8). This has similarities to the breaking in two of Tiamat by Marduk - although, if this is the case, then it is a highly distorted 'account'. Sadly, Deirdre's eventual fate is to throw herself from a chariot to be crushed against rocks. Again, perhaps an allusion to cosmic catastrophism. Lisa Cooper, who runs an excellent group on Facebook, wondered whether Deidre might represent Mars (10)? This analogy would explain the colour most associated with Deidre: 'Saffron'. According to Sitchin, Mars was witness to a catastrophe early on in its life. The breaking of the staff over water, along with the appearance of the red star of ruin, represents the cataclysmic Celestial Battle which took place at the asteroid belt location (8). Deidre's own tragic fate later, by falling against rocks, might then represent whatever whacked Mars to knock the stuffing out of it, causing it to appear now as a 'dead' world. So often associated with warlike male deities, it's a refreshing change to consider a female characterisation for Mars - particularly in its prior form as a beautiful world before catastrophe struck. It's interesting to see how these old myths swirl around each other. Perhaps they have some common origins in cosmic events that took place long, long ago - and which have come down to us through oral tradition from as far back as the last Ice Age. Or perhaps they're just stories. We'll not know for sure, until we discover the 'Red Star of Ruin' itself. We may not have that long to wait. 8) Zecharia Sitchin "The Twelfth Planet" Avon 1976, and the subsequent Earth Chronicles series, by the same publisher as well as Bear & Co.
A Swedish geologist has discovered a family of meteorites, which fell to Earth some 470 million years ago, which bear little or no resemblance to those we are accustomed to being struck by in contemporary times. 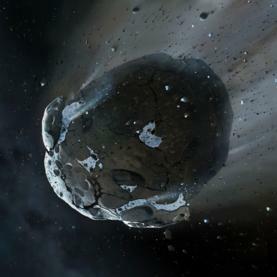 Professor Birger Schmitz, of Lund University, argues that this discovery could have a significant impact upon our understanding of the history of the solar system (1). The reason for this change of thinking was the discovery of the meteorite Österplana 065 in Sweden, which has been termed a 'meteorite dinosaur' by Dr Schmitz. Since then, an additional 43 micrometeorites have been added to this anomalous family, begging the question: Where did they come from? They are quite unlike what we see in more modern meteorites. It may be that they represent the materials flung out from collisions taking place between particular bodies within the solar system, whose compositional signatures are different from those whose more modern impacts populated the current range of meteorite fragments. Or, on the other hand, the unusual compositional signatures might indicate the presence of fragmented cometary materials, originating from interstellar space, which crossed into the solar system half a billion years ago. Either way, it is now apparent that the previous concept of a meteoritic uniformity across the timescale of the solar system is wrong. This may allow scientists (both geologists and planetary scientists) to differentiate between various cosmic events, and their collisional aftermath, during the lifetime of the solar system. The modern media is a fractured, messy construct. It's becoming increasingly difficult to differentiate between outlets as to which is reliable, and which is not. Small media groups can put out stories, which have been subject to very little journalistic or editorial analysis, and see them get picked up, no questions asked, by major news outlets online. As a result, mainstream tabloid outlets increasingly propagate nonsense and fake news. This is now leading to a serious debate about what is Truth, or at least fact-based information, and who should we listen to. The danger is that the governments will start to censure non-verifiable news outlets, which is scary in the case of niche or specialist fields of study where the mainstream journalistic input is often overly simplistic, or even ignorant of context and factual information. 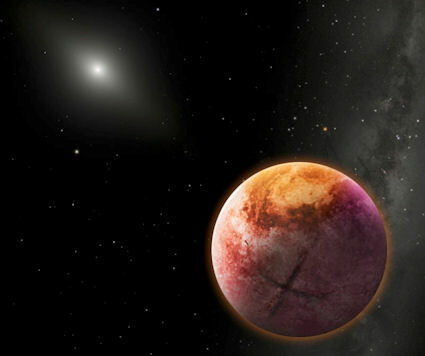 A recent news story about Planet X/Nibiru has gone viral. At the centre of the story is NASA's observation of an inbound Near Earth Object 2016 WF9, which they say will skim harmlessly past the Earth in late February. A Russian named Dr Dyomin Damir Zakharovich has been issuing some dire warnings about this event, and has linked the provenance of this object with Planet X/Nibiru and a brown dwarf system in the outer solar system (e.g. 2). I wanted to find out more about Dr Zakharovich, and to find out where his data is coming from. I assumed he was a professional astronomer, although the many media reports I examined about this story described him as a 'self-proclaimed astronomer' or variation on that theme. I went through 10 pages of Google searches to find something about his background, but found nothing tangible about him. He pitches up in an article or two from 2016, including an appearance in the German media. Apart from that, nothing at all. If he had any kind of academic profile, that surely would have turned up. So then I put in the Cyrillic translation of his name ( Д-р Дамир Демин Захарович ) to see if any Russian universities or institutions showed up, in Russian language websites. I expected to find, at the very least, an academic entry for his PhD, given his moniker as a doctor. Google normally picks up a publication or two for anyone with an academic history, and their university profile webpage. It will usually emerge early on in the search history, because the profile page, or published papers, are long-standing documents on the Internet, provided by reliable sources. Again, all I could find were the same series of recent, re-hashed articles from across the Russian media. I can only conclude that Dr Dyomin Damir Zakharovich has no data worth examining. He does not appear to be a professional astronomer. Until I can verify more details (and I'd be interested to hear of any facts that readers can provide about his work) I'm going to assume this is fake news. There's another issue here; about sensationalism. It's a problem I've personally grappled with for a long time. My writing is heavily science-based, but is, at the same time, often challenging and speculative. I try hard to indicate where something I say is conjectural, and to give the other side of the argument. I also try to get back to the root of each story I read about, and build from the source (usually academic papers, books or other published materials). That can be constraining (and definitely time-consuming!) but it is a necessary series of measures to ensure I provide material that is accountable, and bearing some journalistic and scientific integrity. I'm not saying I'm always perfect here, but I try. The problem for me as a writer has always been that this is not exciting. It does not sell books. It does not give me access to large conferences as a speaker. It does not provide the world with bite-sized chunks of wild information that goes viral over the Internet. The temptation is always there, of course, to cross that line. I watched with fascination how this apocalyptic speculation provided by Dr Dyomin Damir Zakharovich has been subject a media feeding frenzy across the world. Wow! The right story at the right time? More Russian media churning, for dark reasons unknown? I don't know. But in this post-fact world, I feel that my way of doing things, my integrity as a scientific thinker and writer, is rapidly losing ground. Worse, if a programme of censorship really does happen in the years to come, my small websites might themselves be under threat - even though it's the big media outlets that are often guilty of propagating the extreme stuff just to get lots of hits, and thus advertising revenue. The whole thing is a mess. As for 2016 WF9... personally, I'm not worried one little bit. On the face of it, at least, it does not appear to be connected to Planet X.